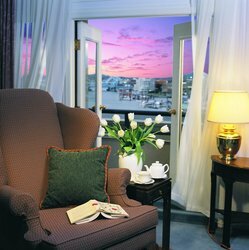 Indulge in an unforgettable Victoria, BC getaway in our Luxury Suite, boasting 3 balconies to soak up inner or outer harbour sunset views. 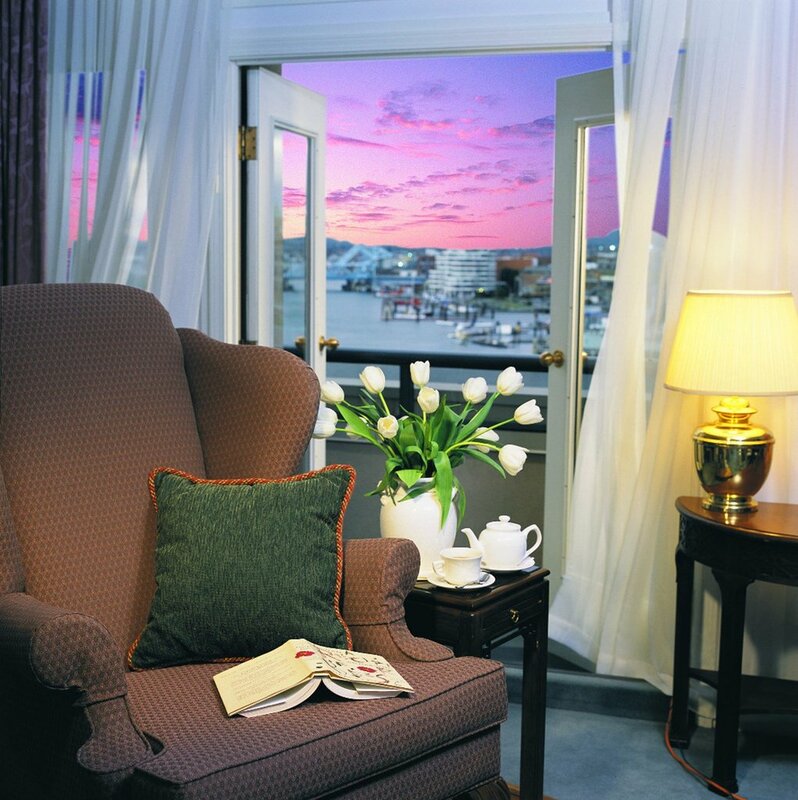 Located on the 9th floor of Hotel Grand Pacific, these accommodations promise to take your vacation to new heights. After a busy day in Victoria, retreat back to your Luxury Suite to unwind by the gas fireplace in the living room or treat yourself to a spa pampering experience using the bathroom’s jetted soaker tub, heated floor, and towel warmer. Stay entertained using the suite’s two TVs, play some music on the stereo, or curl up on the king-sized bed with a popular novel. Our Luxury Suite also features a dining area for six, so you can easily meet or enjoy a pleasant meal with your whole group. Adults only. Max occupancy is 2 adults. All of our rooms and their respective balconies are 100% non-smoking. Pet-friendly rooms are not available for this room category.